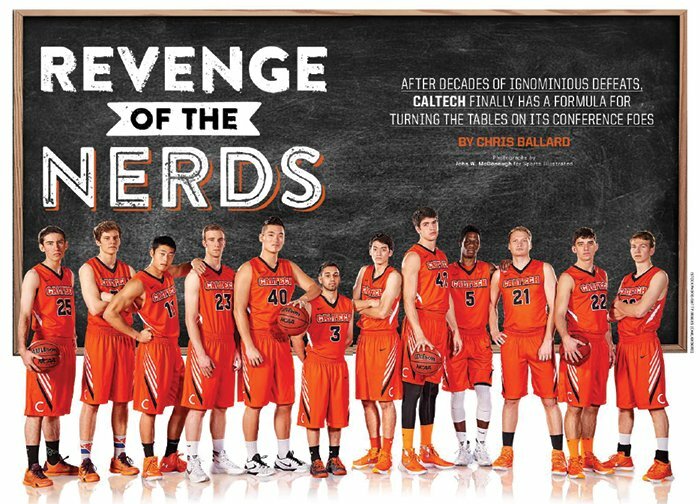 "Caltech's Rocket Science: Shoot More 3-Pointers"
The school known for scientific innovation and embracing technology has its most successful basketball team in decades. Why? Because the 3-point revolution has come to Caltech. I played 3 years on the Caltech varsity basketball team in the early 70s, and was captain and MVP. I never won a conference game in my career. I can't even imagine what it would be like to win 8 games in a season. In our defense, we didn't have a 3-point line then, and normally tried to work the ball inside, where of course we were over-matched. Besides the fact that there are no athletic scholarships, a class size of only 200 made it pretty difficult to find players. It must be even more difficult now that the class is nearly half female, while only 10% in my day.